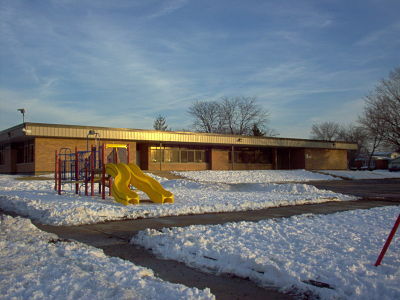 Suburban Landscaping has been plowing commercial and multi-family properties since 1984. Earning respect from peers and clients alike for reliable, professional service, even in the worst conditions such as the blizzards of 1999 and 2010. With customized contracts, scheduled routes, clearing times and excellent communication with our clients, Suburban Landscaping has become a recognized leader in the Chicago southland for snow plowing and ice control. We can offer our clients several types of snowplowing contracts to suit their exact needs and expectations. The clearing depth of accumulated snow in all contracts can be changed to best suit the needs of your property. A 2" clearing contract is the industry standard for most types of plowing, however, we offer the following depth options as well; Dusting, 1", 2”, 3”, or following day clearing. Per Plow: Per plow service is a service agreement where you are billed a flat rate each time our trucks and equipment service your property. We dispatch the trucks to your property when snow accumulations reach the depth that you have selected to be cleared. After clearing your property, the trucks will only return again if the snow continues to accumulate and reaches your clearing depth again. Your monthly bill will itemize and charge for each visit. Monthly Service: Monthly service contracts are billed a flat rate per month, regardless of how many visits we make during the month. You pick the accumulation depth for your property and we will be out to clear the snow every time it exceeds that depth. Monthly service contracts are often looked at as "snow insurance" because you pay for the service each month during the winter regardless of when the snow falls, and your service is practically unlimited. Most multi-family associations choose this option because of the ease of budgeting for snow service. Hourly: A popular choice for many municipal and industrial clients, hourly service is billed hourly or in increments of fifteen minutes. This is a very practical way to plow properties with frequently changing conditions or as a way to augment in-house staff. This is also a good choice for properties that need a "back-up" plan for their existing service or contractor. Snow fall is never a uniformed blanket of snow, the amount of snow in one area often differs from another only miles away. Add to this the wind factor and the movement of snow on pavement, and you'll get a drifting accumulation far exceeding the total snowfall for the event. For these very reasons, every plow driver physically measures the snow depth at each property before they start their clearing operations. The measurements are taken over the entire property excluding drifting areas, and recorded on their work log. these measurements are stored by Suburban Landscaping and available to owners and property managers at any time upon request. We strictly follow the accumulation depth you select and plow only after that depth has been met. If your property is a sufficient size, we will dedicate a truck or piece of equipment to your property that will stay on your property. Parked out of the way when not in use, this equipment will be for the exclusive use of your property. With dedicated equipment, your property can be serviced earlier and touch-ups can be done immediately after the initial servicing. Suburban Landscaping has an experienced, trained staff of over 100 ground crew personnel working in most snow events. Personnel are assigned to a crew and each crew is assigned a route to complete, allowing for the same crew to visit the same property every snowfall, which helps increase their knowledge of your property and decrease the time it takes to provide the service. 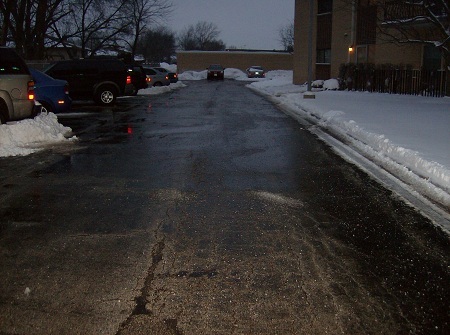 The crews assigned to your property also will learn where the ice spots usually accumulate and where special circumstances are required. 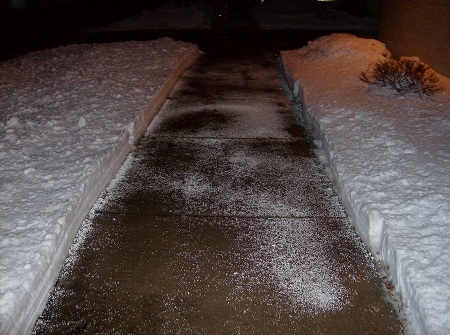 All aiding in providing the best, most efficient sidewalk, entrance, and stair clearing service possible. Over 28 years of snow clearing has brought us several unique ways to meet our clients needs and expectations, as well as shown us how to be the most reliable service available. The most valuable of these is that winter weather can wreak havoc on equipment, which is why we have a set number of back-up equipment that is unscheduled and available if something happens and a truck or piece of equipment goes down. Before the snow start to fly each winter, our crews do a walk through of your property to learn the site, take photographs for reference, and install marking flags that can be seen after the snow accumulates. These marking flags help the drivers and ground crew know exactly where your curbs, sidewalks, fire hydrants, entrances, and landscape beds are after the snow fall. Even though we take all of these precautions, there is occasionally some minor lawn damage that may occur. When this does happen, Suburban Landscaping repairs all turf damage created by our equipment during the following spring. At Suburban Landscaping we have a staff of full time, year round account mangers who monitor snow events. Starting in November, our managers are on rotational shifts 24 hours per day, seven days a week, monitoring the weather and ready to dispatch crews. We subscribe to a satilight weather service to monitor the weather and give us accurate estimates of arrival times and expected accumulation. Managers also monitor the properties in person, visiting sites and checking accumulation, re-directing equipment and personnel as needed, in real-time. Keeping a constant vigil is a must in the snow business, as any of our managers will tell you, for each snow event of the season, there is another 3-4 events that we tracked and missed the Chicagoland area. Clearing snow in the middle of the night in blizzard conditions while driving on possibly ice covered roads is inherently precarious. Accidents do occasionally happen. In addition to that, the product of our work is used by dozens or hundreds of people and vehicles depending upon your site. 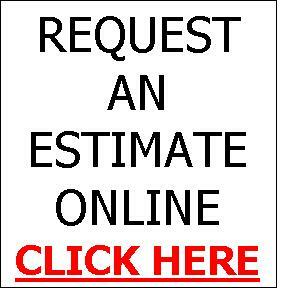 For that reason we are one of the most insured landscape companies in the Chicago market. See our Insurance page for more details on our policy and coverages. In times of heavy or frequent snowfalls, the piles of snow from plowing operations can grow into mountains, especially for properties with limited space. 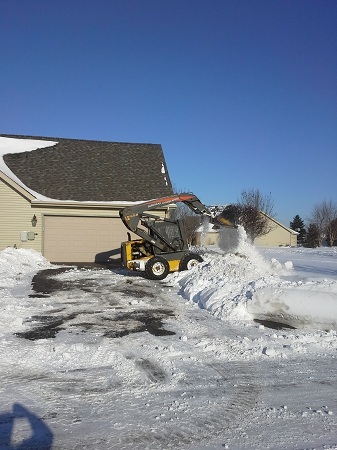 Suburban Landscaping has the equipment and ability to offer snow removal to all of our clients in need of this service. this service is usually done at the request of management, ownership, or Board of Directors, or if contracted for in advance. The charge for snow removal is usually an hourly service, but quantity of snow and availability of the disposal site can influence the costs as well. What Does Snow Plowing Cost? In 2015, the industry standard hourly rate for a plow truck and driver was $90 per hour. Even though time is the biggest consideration, at Suburban landscaping we price our services differently. Several factors can change your per plow or monthly costs, including the location and size of your property, salting requirements, clearing depth selected, and equipment needed for the job. For an exact price for your particular property request a quote for snow & ice service right here online.